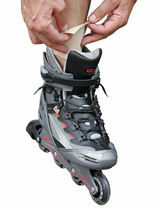 This is an excellent product which alleviates plantar pains caused by pressure under the ball of the foot and calluses. Epitact answers to the care, comfort and well being of the foot. REQUEST RETAIL PRICES IN THE "COMMENT" BOX AT CHECKOUT.